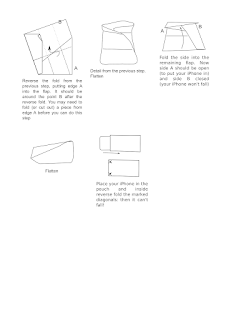 A few weeks ago I saw in my Google Analytics that someone came to this blog looking for "Origami iPhone case". 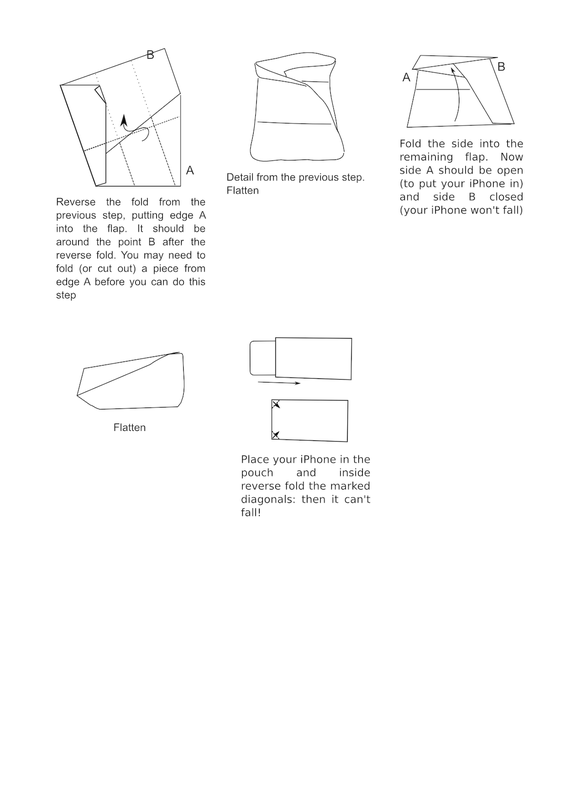 As I have a Origami CD case, and several posts on iPhone/iPod Touch games... it was a page hit. 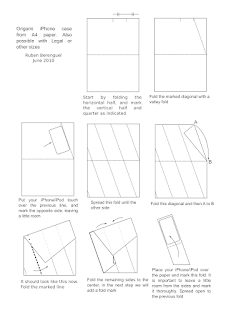 But I thought: if I can have a neat CD case, I can also design a neat origami case for an iPhone! Said and... done. It took a few tries (and a few days), as you can see below. The main problem was that the first worked by luck, and the second, too. But the third didn't, and it took a while of disassembling to solve all problems. The final case is pretty nice, if I can say it, moreover by tweaking a little the size doubles as a neat bus card holder (for Barcelona's size, which is roughly the same as a credit card), with 3 pockets (one is the iPhone pocket, the other is a thin pocket for just one ticket and another larger in the front/back). 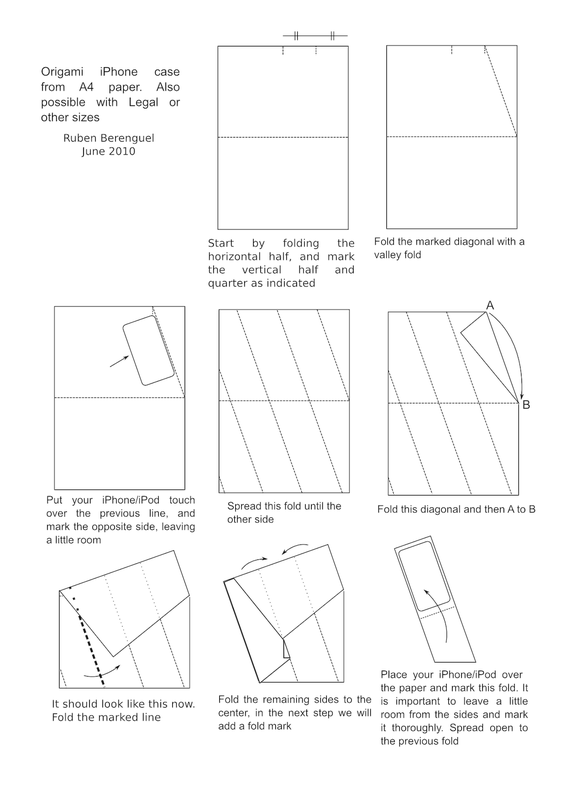 You can find the diagrams below the pictures.